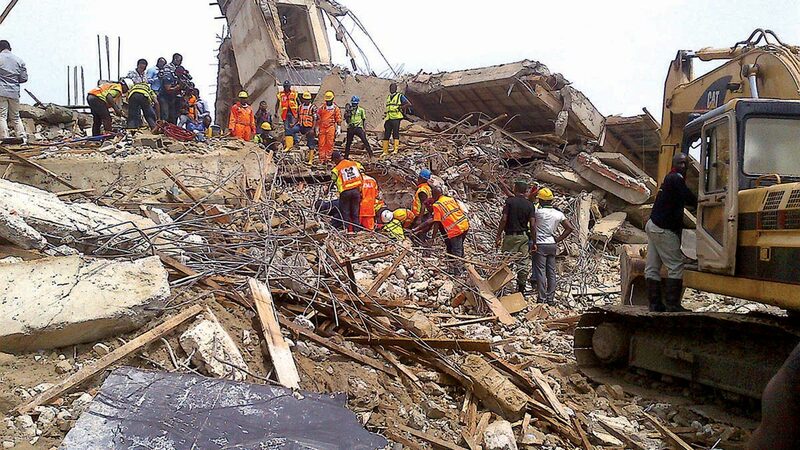 An Ebute-Metta Chief Magistrate Court yesterday Friday granted the request of the Lagos State Police Command seeking to keep the Managing Director of Lekki Gardens, Mr. Richard Nyong, in custody pending the conclusion of ongoing investigation into the collapse of a five-storey building under construction on Kushenla Road, Ikate Elegushi area of Lagos State on Tuesday that killed over 30 persons. The court also ordered one of the contractors handling the project, Mr. Taiwo Henry Odofin, to be kept in police custody at Panti, alongside Nyong, for the next 30 days. Magistrate Folashade Botoku said the order was in the interest of justice and public safety. Nyong and Odofin were arrested Thursday and Wednesday, respectively. The building collapsed around 3am on Tuesday, with several workers trapped in the rubble. The state government has sealed the building, which was said to be originally designed to be a three-storey structure. Nyong and Odofin were brought to court around 1pm in a black Range Rover Sports Utility Vehicle, with registration number (Abuja) KWL 682 CN. When the case was called, Police prosecutor, Godwin Osuji, informed Magistrate Botoku of an ex-parte application seeking to remand the defendants beyond the constitutionally prescribed period, saying the application was brought in the interest of justice, public safety, order and morality. He said in view of the circumstances of the case, it was impossible for the Police to conclude the investigation within two days; hence the need for the application. Osuji said as at Thursday, 24 bodies had been recovered from the scene of the incident, while others were still being recovered, adding that some of the relatives of the victims were still making efforts to identify their dead bodies, while autopsy was yet to be conducted. Counsel to the defendants, Mr. Bode Olanipekun, orally applied for the bail of his clients. Olanipekun, in the alternative, urged the court to order that the Police should release his clients, but that they should make themselves available to Police when needed. But Osuji said it was trite law that an application for bail could only be filed after the defendants must have been arraigned on a criminal charge. He said at the moment, the Police was yet to file any charge against the defendants and as such, the application for bail was not yet ripe. In her ruling, Magistrate Botoku held that under Section 264 (1) of the Lagos State Administration of Criminal Justice Act, 2011, she was empowered to order the remand of a defendant, as in the instant case, but that the major consideration is the justification of such application. She held that having gone through the facts of the case, it was in the interest of justice for the application to be granted, as there was merit in it. She therefore ordered the defendants to be kept at the Criminal Investigation Department (CID) Panti for 30 days at first instance, subject to variation upon further applications. The matter was consequently adjourned to April 12, this year.